How Do You Measure Baby and Children's Clothes Sizes? 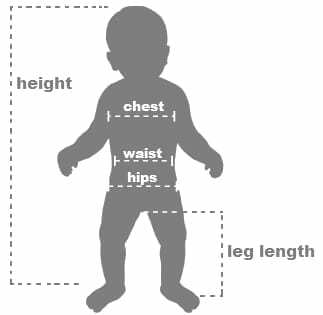 Baby sizes can be determined by the age and weight of your baby. Keep in mind though that babies grow and develop at different rates. Clothing for all ages and sizes in Australia can vary from shop to shop so it’s best to take measurements yourself and then compare them to our size guides. You can either measure the actual body or measure a piece of clothing that fits them perfectly. Here’s how to get accurate body measurements for babies and children. Height: Measure from top of the head to bottom of heel on the foot. Weight: Weigh baby on scales and take the measurement in kilograms. Chest: This measurement should be taken directly under the armpits and span right around the body across the widest part of the chest. Waist: To measure waist size, wrap the tape measure around the waist at belly button height. Hips: Children can stand with legs slightly apart and measure around the fullest part of the hips. Legs: Measure from where the leg joins the body to bottom of heel on the foot. All measurements are given in approximate centimetres. Weight in approximate kilograms. 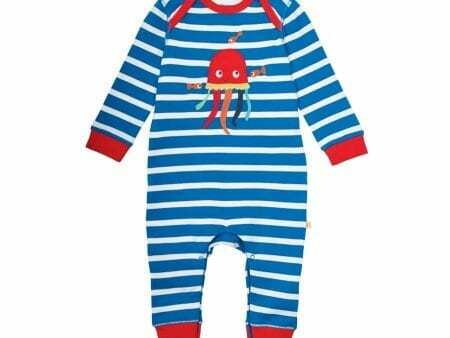 This three pack of baby body suits feature some cute prints on the front. 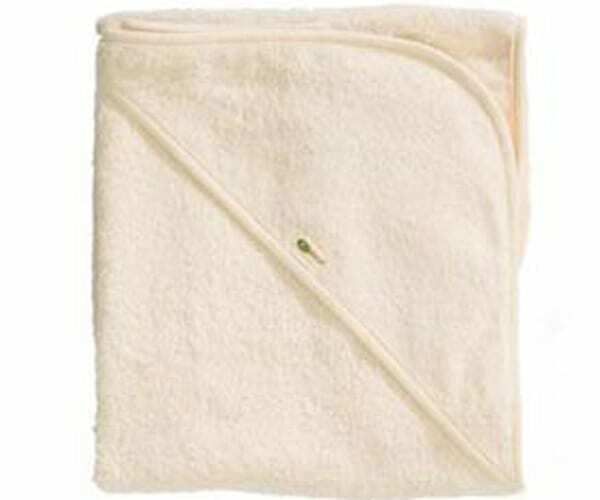 Made from lovely organic cotton, these bodies are both comfy and soft on babies’ delicate skin. Made with Organic Cotton Interlock. This product has been checked to contain high quality Certified Organic Fabric. An ideal material to be used in baby and children’s clothing and safe to place next to their skin. Specially imported into Australia by Organature. one light blue body suit with flower pot motif. Available in a range of sizes, please refer to the size guide below.